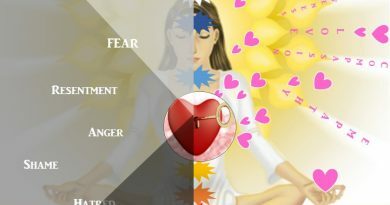 As an Energy Healer and a Law of Attraction Coach I believe that our personal energies are absolutely unique and they attract to us people, situations, “life lessons” that help us to learn about ourselves, and take us closer to who we want to and have the potential to become. But sometimes we meet with forces that are seemingly stronger than us or even alien to us, and we have no way of knowing what they are up to, so they have the advantage of systematically working towards destroying us. Are we really that vulnerable? Is there nothing we can do about it? This is what I’d like to explore through the series of 5 articles. My understanding is that living on Earth right now is so much more than gliding through our lives attending to our physical, mental and emotional needs. 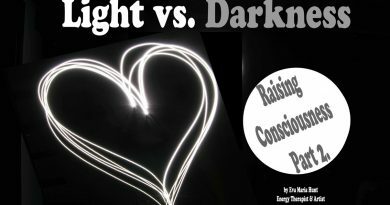 It’s also about raising our consciousness in the process and taking sides, whether we work towards building the light and spread love or turning away from it and accumulate even more fear and darkness in the world. Consciousness is becoming aware of who you are and taking responsibility for not only your actions, but for your thoughts and emotions too. Because we are energy beings and our thoughts and emotions are energy too, which are actually not simply ours, locked into our body. They emanate from our being affecting others too, which means we are responsible for our mood, physical, mental and emotional conditions. Therefore our consciousness reflects the frequency of the energy we vibrate at, which shows the level we are functioning at, the capability of aligning with our higher self and becoming more holistic beings. What role the Media plays in raising consciousness? This “fight” between the opposing forces is becoming more and more visible especially with the help of the media. I personally try to keep away from it, because by focusing on the negative they are creating fear on a large scale in people and re-programming their mind to become negative, which is extremely dangerous. But this is only one side of the coin. And there is a good side to it too. If people handle the information they receive, with care, the media has the power to open our eyes to corruptions, wrong doings, we get to know what governments, banks, and people in high positions, with real power are doing. It is good, it looks and feels like a giant cleansing process, which means whatever can be pushed to the light can be healed. Just think about recent heart-breaking events in the UK, happening less than a month apart: the Manchester terror attack (22nd May), the London Bridge terror attack (6th June), and the Grenfell Tower block tragedy in London (14th June). They shook people, and their response to these horrible events, to the hatred, greed, negativity was love. Ariana Grande’s One Love Manchester benefit concert for terror attack victims brought together some of the biggest musicians on the planet and watching the event the pure love, compassion, empathy and care was tangible. Or after the Tower Block fire in London warm-hearted, loving, caring people went voluntarily to give them clothes, raise money and whatever they could to help them. This is amazing, and extremely powerful. There is lots of love in this world, and when it is all added together, it can conquer fear. If love can conquer fear what’s the problem? We can all choose to feel love and everything will be ok. Right? In theory that’s the aim, but we humans are not there yet. It’s a journey for the individual and we are all at different stages of that. 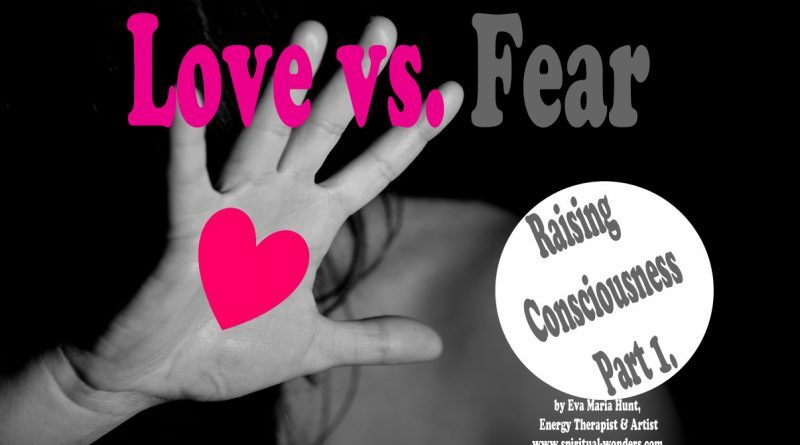 We have free will and we need to walk the path for ourselves choosing love, facing our fears and conquer them. Emotions can be scary and many people try to run away from them, but in reality they are the language of your soul. You need them to experience life. And not only that, they form an amazing guidance system, so you can navigate your way to love. How? 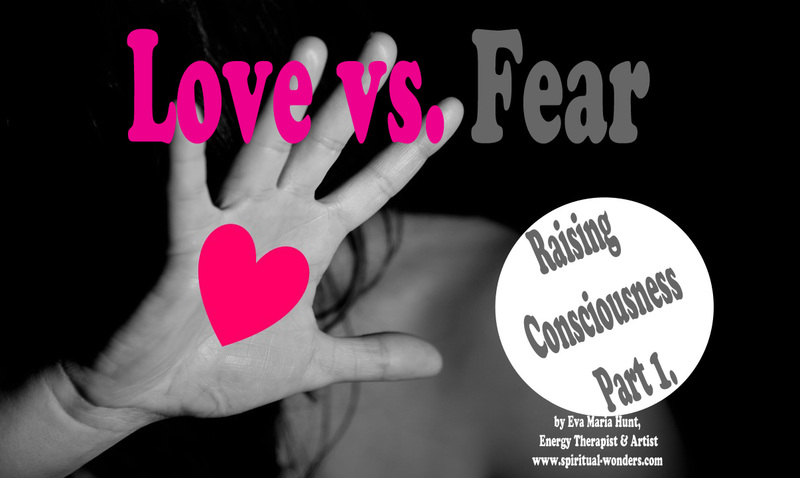 If you are healthy you are capable of identifying fear and love, and all the other emotions that can be tracked back to these two basic ones. Like shame, worry, anger, etc. are rooted in fear, compassion, kindness and empathy spring from love. So you are well equipped emotionally already, you “just” need to consciously choose to work your way through your negative emotions, and let them go, whilst practising compassion and love. This process is a perfect path to raising your energy vibrations and your level of consciousness. to be continued Light vs. Darkness – Part 2. ← Am I addicted to Reiki Energy?